At Wholesale Cabinets Inc we strive to provide high quality cabinets in San Diego at wholesale prices to the general public. We strongly believe that when it comes to the quality of cabinets in San Diego and counter tops there is no room for compromise. That is why we set a high standard, and features such soft closing doors and drawers. Our custom cabinets have zero particle board and come with a lifetime warranty. Our quality assurance doesn’t stop there, all of our cabinets go through a Carb 2 compliance inspection in order to check the formaldehyde levels. We carry over 100 different solid wood cabinet styles and colors in stock. By keeping a large amount of kitchen cabinets in stock were able to offer same week delivery. We carry RTA, semi custom and custom kitchen cabinets. We have the largest selection of Shaker, Raised Panel and Flat Panel Cabinets in town. We specialize in kitchens, bathrooms, laundry rooms, bars and entertainment centers. Our beautiful kitchen cabinets are complimented by our wide selection of granite and quartz counter tops. We carry an affordable line of pre fabricated pieces as well as full slabs. As a family owned business in San Diego we take pride in each kitchen remodeling project. We believe that even if you are on a tight budget, you shouldn’t compromise the quality of your dream kitchen. Our team of dedicated kitchen cabinet specialists in San Diego are always ready to provide our customers with top notch customer service and a positive experience. At Wholesale Cabinets Inc we offer a free 3D design, as well as a free estimate and consultation. We have years of experience with both residential and commercial kitchen remodeling projects in San Diego with thousands of kitchen and bathrooms remodels under our belt. For only the highest quality cabinets in San Diego, brands and styles, turn to Wholesale Cabinet Inc. We take great pride in the brands we carry for all of your wholesale kitchen cabinets requirements. If you want to remodel your kitchen in San Diego, you can rely on Wholesale Cabinet Inc., to distribute topnotch kitchen cabinets at affordable prices. 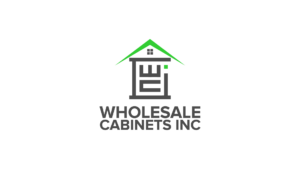 Wholesale Cabinet Inc. is a leader in wholesale cabinets in San Diego and it shows in our dedication to providing our customers with only the best wholesale building supplies available. For more information about the items and services we carry, please feel free to visit our kitchen cabinet showroom in San Diego today! At Wholesale Cabinet Inc. we offer quality kitchen cabinets, at a wholesale price. We provide direct pricing to all our customers. We’re a wholesale showroom focused on helping pros and individuals to find the best kitchen cabinetry in San Diego County for their kitchen remodel in San Diego. At our kitchen cabinet showroom in San Diego, you will find hand selected cabinetry in an array of color and styles. Our showroom is located San Diego and has functional displays to inspire re-modelers and contractors. Kitchen remodeling will give your home a fresh look while adding to its value. Wholesale Kitchen Cabinet Inc. is dedicated to giving you affordable kitchen cabinets in an array of color and style. Whether you’re looking for a single cabinet replacement or a complete renovation, we have you covered.